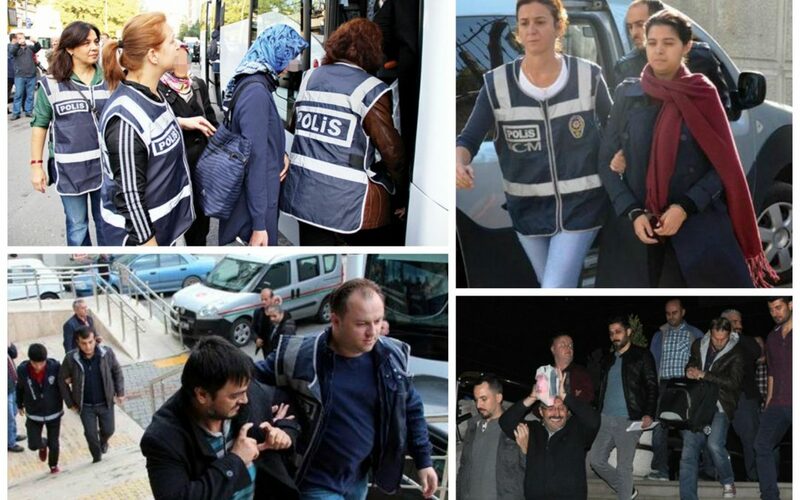 At least 183 people were arrested, while 49 others were detained over the past 24 hours, according to Turkish news agencies. Police carried out the operations in at least 20 provinces across Turkey. With most of the arrestees being police officers, those arrested over the past day also included small business owners, military officers, doctors, judges and prosecutors, university students and civil servants. Among those detained are judges and prosecutors, police officers, lawyers, hospital personnel teachers, businessmen and a dormitory manager. More than 105,000 people have been purged from state bodies, nearly 72,000 detained and some 32,000 arrested since the coup attempt. Arrestees included journalists, judges, prosecutors, police and military officers, academics, governors and even a comedian. Critics argue that lists of Gülen sympathizers were arranged prior to the coup attempt.